Outa says it will not abandon the fight against e-tolling Gauteng freeways, despite its decision to have a much broader focus. Only 9% of motorists using Gauteng freeways are paying towards the controversial e-toll system, says Opposition to Urban Tolling Alliance (Outa) chairperson, Wayne Duvenage. 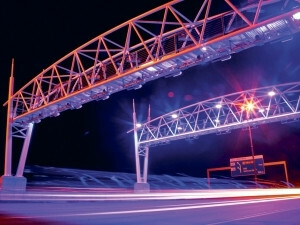 According to Duvenage, based on information on the status of payment recollection from the South African National Roads Agency (Sanral), Outa has been able to determine 8.9% of cars that go under gantries pay for e-tolls. This only generates 23% of the revenue, which mainly goes towards payment of staff and not the loans and bonds taken out for the Gauteng Freeway Improvement Project (GFIP), he says. "At best, Sanral was collecting 40% in e-toll payments from motorists back in June 2014." Duvenage says e-toll payments mainly come from the logistics companies, car rentals firms and government fleet. Last year, transport minister Dipuo Peters released statistics that showed e-toll payments were R76 million for May and R78 million for June. Meanwhile, payments in January and March 2015 ranged between R45 million and R68 million respectively. However, year-on-year data shows payments of e-tolls accounts still remain low. In May 2014, Sanral collected R117 million, and R120 million was collected in June that same year. Mark Ridgway, COO of Electronic Toll Collection, the company appointed to deal with e-toll collections, dismissed claims the agency has been unable to collect the money from outstanding accounts. However, Ridgway was unclear as to how much money Sanral has collected since the introduction of the e-tolls system, and instead issued a warning to motorists. "Road users should bear in mind that a dedicated task force has been established to ensure outstanding monies are collected. This task force will utilise all methodologies open to it to ensure collections, and these may include the listing of vehicles with outstanding toll on a national database, the introduction of professional agencies and legal action." He adds: "It should be noted that listing may affect resale values and the ability to trade vehicles on to a new owner. Non-payment of government monies cannot be accepted and Sanral will make sure all avenues are utilised in the collection of these funds. The collections process will remain in force and the consequences ultimately will be a loss of 60% of the value of what is owed." To encourage payment of historical e-tolls debt in arrears, Sanral introduced a Less60 campaign for overdue accounts in November last year. To qualify for a 60% discount, motorists are expected to settle their outstanding debt within six months - giving them until the end of April this year to pay up. Duvenage says Sanral seeks to recover R5.9 billion in outstanding debt by those members of the public who are not paying e-tolls. This means it requires about R260 million a month in its coffers to repay debts of the loan and bonds, but is only collecting R70 million a month. Fin24 reported Sanral collected R40 million of outstanding e-toll debt in the first month (November) of the Less60 discount offer. Duvenage says there is no doubt Sanral's discount offer is dead and buried. "If it [Sanral] has only managed to raise a dismal R40 million, which is less than 1% of the outstanding debt, it has clearly failed." Ridgway admits early response towards the Less60 campaign was encouraging as a significant amount of road users contacted the call centre and made use of the Web site, but no real outbound action was undertaken in any real numbers. "Given the December/January holiday period, the real collection activity has kicked off in the last 10 days. As such, any numbers or prediction of possible numbers would be pre-emptive," he says. "The full collection due to this initiative will be known after the discount period elapses. This is because many road users have made commitments to pay, have payment arrangements in place, or are collating invoices, but are waiting until April to make their payment," Ridgway explains. Known as the mouthpiece for South Africans opposing payment of e-tolls, Outa has now decided to expand its mandate to include challenging policy, conduct and laws that lead to, or are responsible for, tax abuse. The organisation will keep the Outa acronym, although it will now stand for Organisation Undoing Tax Abuse. Previously, the acronym stood for the Opposition to Urban Tolling Alliance. Outa says its move to expand its mandate is motivated by a growing public restlessness on unjust issues, which it believes should be channelled into constructive, active and participative citizenry. There is so much maladministration and corruption when it comes to the implementation of policies in SA; there is no one organisation that is bullet-proof to government corruption, says Duvenage. Commenting on the move to expand its focus, Duvenage notes the Outa board noticed there are more issues, including those of e-tolls, which need to be addressed in SA. "We believe that government and members of the public service, who are serious about reducing corruption and maladministration, should embrace organisations such as Outa. "In mid-February, we will host a media conference, at which time we will provide greater detail and clarity of the rationale, plans, methodologies, systems and programmes we intend to deploy," reads an Outa statement. Outa has reiterated it remains focused in its fight against e-tolls and is committed on this matter to the end. As a result, Outa will today brief the portfolio committee on transport in Parliament, on an alternative financing of e-tolls. A media statement says Outa requested to brief the committee on potential consequences of the planned e-toll regulatory amendments, concerns around toll collections, possible collusion in the GFIP, and lack of court action against this behaviour.